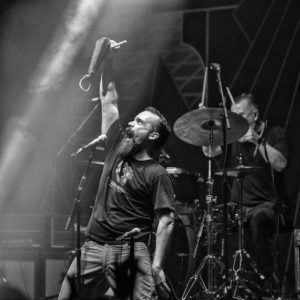 Neil Fallon of Clutch on the show this weekend! This week, Clutch singer Neil Fallon guests! The new CLUTCH album BOOK OF BAD DECISIONS will be out on 9/7! Listen in for music off the album + tunes from Metallica, Saxon, Jasta’s Weekly Pick From The Pit, Underoath, The Dethklok Brutal Pick Of The Week & More!